Prime Minister Justin Trudeau appeared to be inching closer Wednesday to cancelling Canada's $15-billion deal to sell light armoured vehicles to Saudi Arabia. But on Wednesday he said Canadians expect there to be "consequences" for the brutal murder of journalist Jamal Khashoggi, who was killed earlier this month after entering the Saudi consulate in Turkey. And he suggested his government is looking for ways to cancel the arms contract without triggering the penalties. "We are a looking at ... suspending export permits, which is something we've done in the past," Trudeau said on his way into a Liberal caucus meeting. "Were also looking at the contract to try and see what we can do because obviously, as we get clarity on what actually happened to Jamal Khashoggi, Canadians and people around the world will expect consequences." Turkish officials say a 15-man Saudi hit squad — including at least one member of Saudi Crown Prince Mohammed bin Salman's entourage — murdered and dismembered Khashoggi, whose body has not been found. Prince Mohammed said Wednesday that the killing of Khashoggi is a "heinous crime that cannot be justified." He made the comment at the Future Investment Initiative, the second annual summit of global investors in Riyadh. Many international business leaders have pulled out of this year's summit over the killing of Khashoggi. But several Canadian companies refuse to say whether they're attending. SNC-Lavalin, which has extensive business ties with Saudi Arabia, will not say whether it has sent anyone to the summit. Canaccord Genuity Group Inc., whose executive chairman was listed as a speaker at last year's summit, and Bombardier Inc. did not respond to queries. Other companies that attended last year — including the Canada Pension Plan Investment Board and Brookfield Asset Management Inc. — say they won't be going this year. German Chancellor Angela Merkel said Sunday that continued arms exports to the regime "can't take place in the situation we're currently in." Her economy minister called Monday for a common front on the issue by all European Union countries. Merkel and Trudeau spoke over the phone Wednesday about Khashoggi's killing, with both leaders reaffirming "their shared commitment to freedom of the press," according to a readout of the conversation. Trudeau and Merkel "strongly agreed on the need for transparency and accountability for those who committed this act," the readout stated. The United States — by far the largest supplier of arms to the Gulf kingdom — has also balked, with President Donald Trump saying he doesn't want to lose a 10-year, $110-billion deal to sell arms to Saudi Arabia. 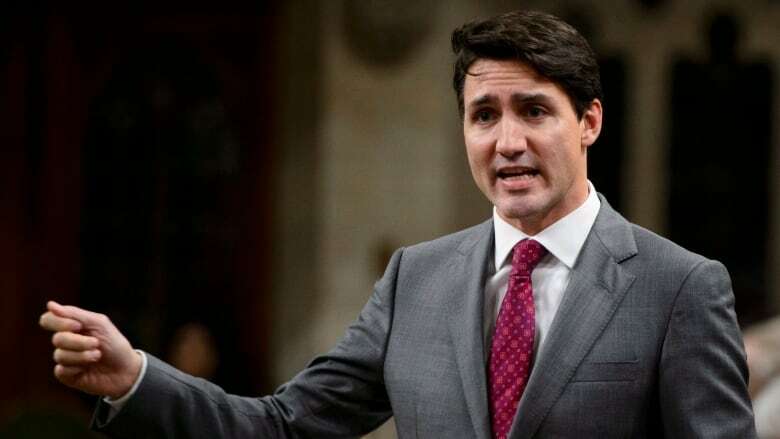 Amnesty International Canada blasted Trudeau on Wednesday for his concern over the financial penalty for breaking Canada's arms contract with Saudi Arabia. "Human rights do not and can never carry a price tag," said the group's secretary general, Alex Neve. "There is nothing in Canada's international human rights obligations that sets a financial limit on our responsibility to comply. Any other approach would be unconscionable."